What Is Linux Dedicated Server and How to Choose the Right Service for Your Business? In terms of server technology, there is one name that has managed to stand on par with the powerful Windows servers. Linux servers have managed to establish as a force to reckon with in the server domain with its world class performance. Linux dedicated server hosting has been playing a key role in many ecommerce projects and establishments by ensuring that ecommerce websites run smoothly and efficiently. In the server world, the pluck and tenacity of Linux server has caught the attention of many potential users of the technology. It is estimated that more than 90 per cent of the fastest computers in the world are being powered by Linux technology and Linux operating systems. It is the automatic first choice for most businesses at software as well as hardware installations because of its unrivaled and high quality performance. However, before you choose a Linux server provider for your business, it is important that you take into consideration some key factors. Is the service reliable when it comes to consistency? The consistency of a server can be best determined by the uptime factor. In today’s world of advancing server technologies, the performance of a data center is measured or evaluated on the uptime they offer through SLA. You can check the uptime consistency through the information provided by the OS. It includes the current time and for how long the system has been running. It also provides information on the number of users logged in at any given point in time and the average load of the system for specific time periods. Service providers using Linux dedicated servers are able to guarantee a high uptime of 99.95 per cent, thanks to the operating system’s consistent performance. Businesses usually plan their dedicated server hosting environment with a clear vision for the future growth and expansion so that they can add new customers to their existing database and achieve the growth they are aiming for. Businesses must make sure that the data center they choose has the capacity to accommodate the changes incorporated for business expansion. The data center must offer the required level of flexibility needed to manage the varying demands of any business. There must be adequate levels of flexibility offered so that applications can be tailored to match the changing needs of any business. Networking performance plays a crucial role in the success of dedicated servers. Use of multiple network suppliers can ensure better and consistent connectivity that’s highly unlikely to fail. Using a network routing system is a great way of providing high quality networking service. It can guarantee seamless connectivity and thus provide your business with the highest level of visibility. If business owners are concerned about one key aspect, then that is security. Very often, they don’t mind paying that extra bit for ensuring the security of their data and information. Before finalizing the services of a server system provider, make sure that you are absolutely clear about the security features the data center is offering. The ideal one will offer multiple check points, foolproof lockers, fully secured cages, biometric authentication and comprehensive software security. Linux dedicated servers are preferred by ecommerce businesses for running and managing most ecommerce websites today. Linux has become one of the leading server operating systems and is the force behind some of the fastest supercomputers being operated in the world today. 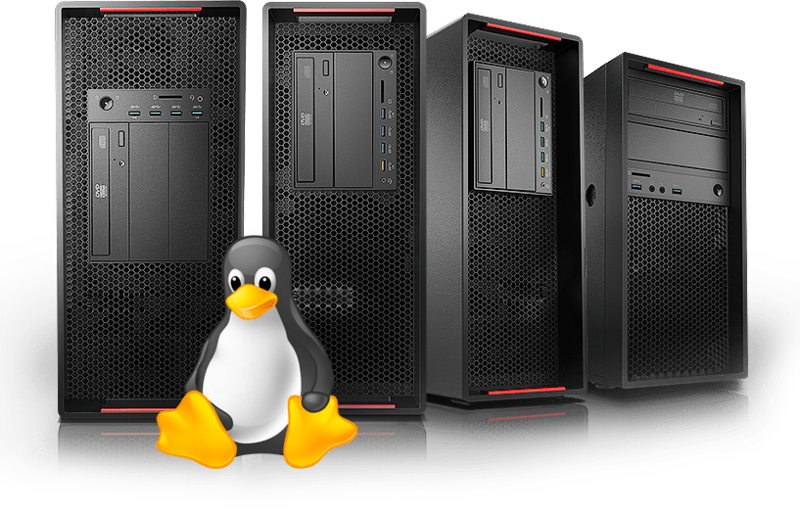 Linux is also the operating system of choice in dedicated servers of leading businesses across the world today. The growing and steady popularity of Linux is also because of the fact that Linux systems can be quickly and conveniently installed without much hassle in almost all hardware and software. Reliability is another major benefit that Linux brings to the table. The features can be easily scaled up or down to match the needs of businesses of any size and type. Also, with Linux dedicated server systems, organizations are assured of a safe and secure online presence. If you are looking for an operational system that provides optimum stability, reliability, security, and performance, Linux dedicated server is the right choice. Linux is also affordable and can serve your business operational needs admirably well without causing any damage to your budget. When you are researching for the best Linux dedicated server hosting providers, you will find that almost all of them claim to be the best in terms of services and features. However, it is important is to evaluate carefully the other features that may not seem important at the onset but can be crucial for certain aspects of business operations. Choosing a Linux dedicated server provider could be time-consuming and require you to put in a bit more effort but it would help your business grow and flourish in the king run. What Is Meant By Data Encryption And How Will It Secure The Dedicated Server? Why Does Your Business Need a Dedicated Hosting Plan?